Get ready for the intoxicating smell of cinnamon cookies baking. Not just any cinnamon cookie, but a cookie crunchy enough for dunking, yet just as enticing to nibble on its own. In very little time you can bake a bunch of these glittering, white chocolate dipped biscotti for gift bags, care packages, and the plate next to your mug of cocoa, or coffee, or tea. 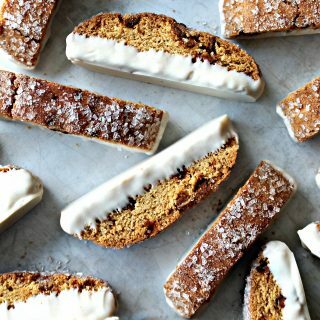 With this time saving recipe, you can be nibbling on Cinnamon Chip Biscotti an hour from now! The Monday Box is presenting a week of time saver recipes! Deliciously crunchy Cinnamon Chip Biscotti are Time Saver Recipe #2. Like all of the recipes in this series, Cinnamon Chip Biscotti are made with a “secret time saver ingredient” in order to make the ingredient list short and the preparation quick and easy. This time of year, quick and easy are essential! These Cinnamon Chip Biscotti start with a box of yellow (vanilla) cake mix and are packed with cinnamon flavor inside and out. Ground cinnamon and cinnamon chips spice up the dough, cinnamon sugar sprinkled on top adds a bit of sparkle, and a creamy cinnamon- white chocolate coating on the bottom is the finishing touch! Every time I publish a biscotti recipe, I mention that biscotti are probably the ultimate care package cookie. Care package cookies have to travel well and stay fresh for the length of their journey. Cinnamon Chip Biscotti are sturdy cookies that stay fresh for at least 3 weeks! In some areas, cinnamon chips aren’t available or are only sold seasonally. I solved that problem with a quick homemade version of cinnamon chips. My chips are really chunks. Taking the time to pipe out gazillion little chip shapes (been there, done that) isn’t necessary. 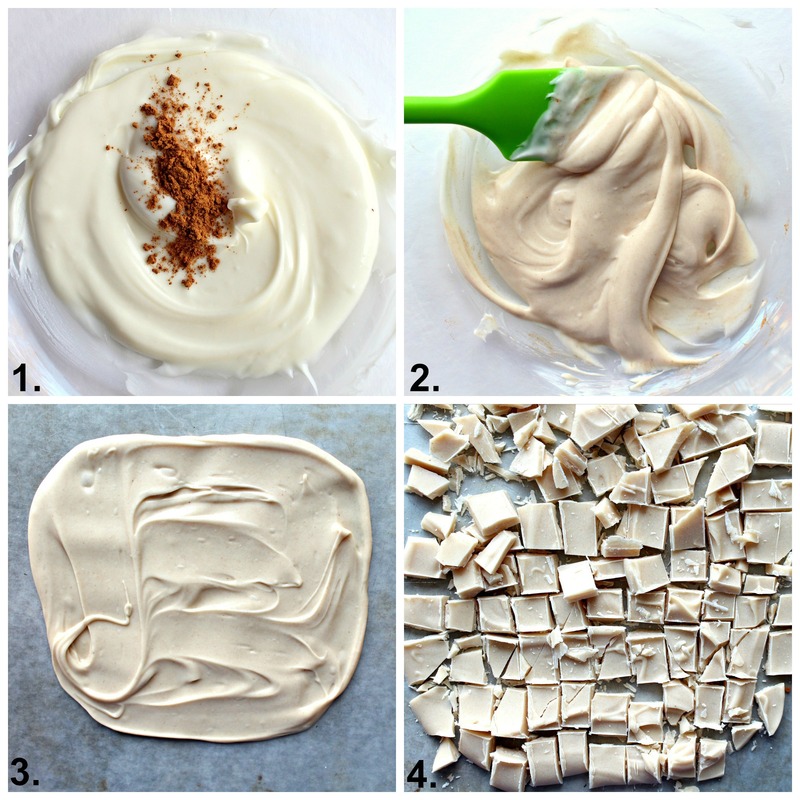 I melted white chocolate and mixed in some cinnamon. The amount of cinnamon is “to taste”, but there is so much other cinnamon in the Cinnamon Chip Biscotti, that I made the chips mild. I like to use Bada Bing Bada Boom white, candy and molding formula, by Chocoley.com, because it melts beautifully, it’s smooth, tastes wonderful, and doesn’t require tempering. The white chocolate-cinnamon mixture is spread out on a wax paper lined baking sheet, chilled until set, then chopped into baking bits. The chips take less than 15 minutes to make. I can think of so many reasons to bake a batch of Cinnamon Chip Biscotti immediately. College students are preparing for exams and writing absurdly long papers this time of year. A biscotti with their 2 a.m. coffee might be inspirational. Our military can always use some sweetness from home. Cinnamon Chip Biscotti are perfect for travel to deployment locations. I will even bet there are people on your list who would love a biscotti gift bag. You can easily spread a lot of smiles with this time saver recipe! If you missed it yesterday, Time Saver Recipe #1 is for chewy, chocolaty Chocolate Covered Cherry Bars. Be sure to come back to The Monday Box tomorrow for Time Saver Recipe #3! 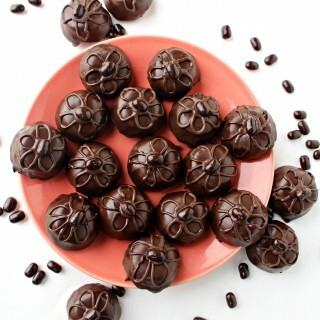 **For home-made cinnamon chips: Melt 1 cup of white chocolate such as Chocoley.com Bada Bing Bada Boom candy and molding. Stir in ¼- ½ teaspoon cinnamon. 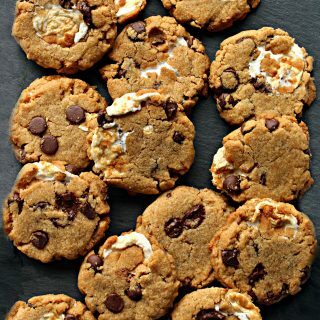 Spread thinly onto a wax paper lined baking sheet. Chill to firm. Chop into chip-sized bits. In the bowl of an electric mixer, combine the cake mix, flour, cinnamon, melted butter, vanilla, and eggs. Beat until combined. Form the dough into 14” logs, then flatten each slightly to make two 14” x 3” loaves, ¾” thick. Bake for 25-30 minutes, until firm to the touch. Remove the loaves from the oven, but leave the oven on. Allow the loaves to cool on the baking pan for about 10 minutes. Use a sharp knife to cut both loaves into ¾’ slices. Leave the biscotti slices standing on the baking sheet slightly separated from one another. 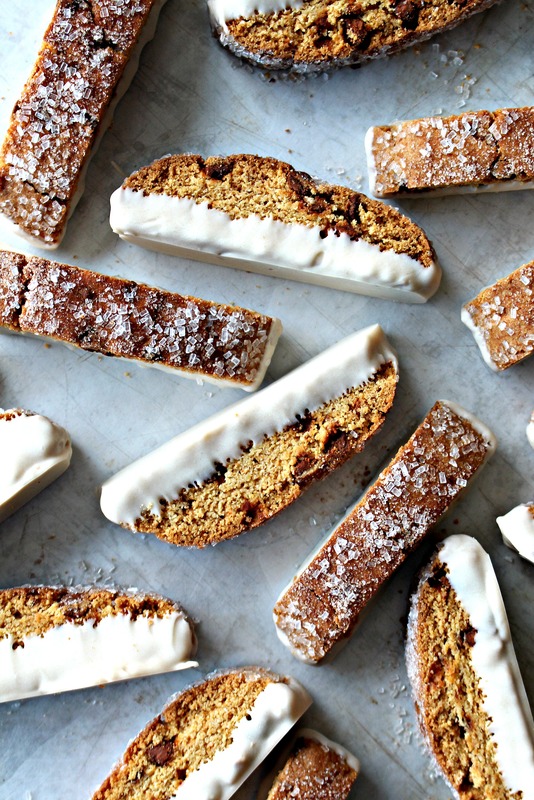 Return the biscotti to the oven. Bake for 10 minutes, then turn off the oven and leave the biscotti in the oven for an additional 20-30 minutes to crisp. For white chocolate-cinnamon coating: To maintain a dipping consistency, prepare half of the coating at a time. At 50% power, carefully melt 1 cup white chocolate discs in a shallow bowl for 1 minute. Stir. If not completely melted, return to the microwave and continue melting at 50% power for 20 second intervals. When melted and smooth, stir in ¼ teaspoon of cinnamon. Dip the bottoms of the biscotti into the melted white chocolate, then place on wax paper until the white chocolate is set (about 15 minutes). Repeat with the remaining white chocolate, cinnamon, and biscotti. Store the biscotti in an airtight container at room temperature for 2-3 weeks. 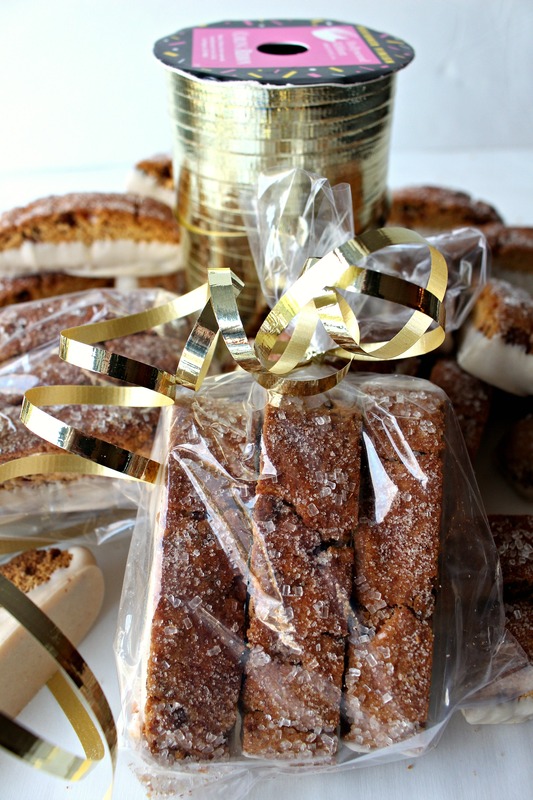 Cinnamon Chip Biscotti without the white chocolate- cinnamon coating can be mailed all year. Biscotti dipped in chocolate should only be mailed in cool weather. 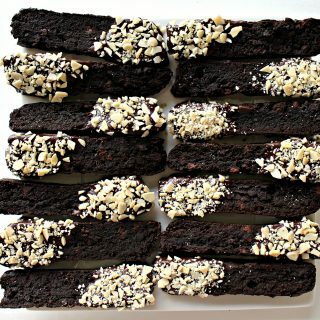 Wrap groups of 3-4 biscotti in plastic wrap, then arrange snugly in an airtight container or freezer weight zip lock bag. 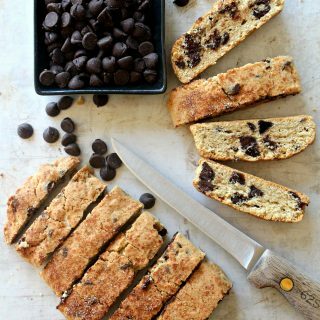 The cinnamon chip biscotti are AMAZING! I have never liked biscotti, always rock like danger for my teeth, even after dipping, and taste completely bland, kinda like sawdust. Well not these delightful biscotti. They are crisp, but not concrete hard with a mouth watering cinnamon flavor. I also loved the glaze. I am a convert. Thanks Wendy! I am loving this time saver series. These biscotti are very beautiful. The sanding sugar just glistens like jewels. 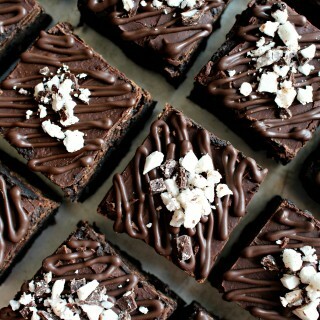 I plan to make these soon, they look so good! Where do you get your decorating sugar? Thanks, Kristin! Good news on the sparkling sugar, because you won’t believe how easy it is to find. Bobs Red Mill makes it in a bag like all of their specialty flours, and it’s sold at Dierbergs in the baking aisle! It is a really pretty, sparkly-clear, large crystal. I add food coloring gel to it for other projects where I want colored sugar. 🙂 p.s. These went over big with the humans in the dog park crowd last week. I wish you had been there to “sample”! I do like time savers and I like Cinnamon, so I can’t wait to try these. They look really good. It looks like you have some great recipes on your blog. Thank you for sharing at What’s Cookin’ Wednesday. 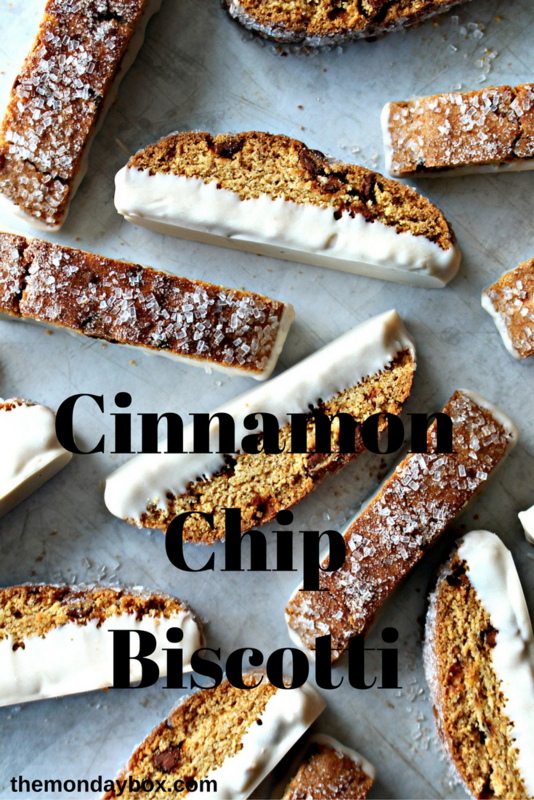 I love biscotti and I love cinnamon – and I particularly love how quick and easy this recipe is! Thank you so much for sharing your Cinnamon Chip Biscotti with us at Hearth and Soul. Thanks, April! 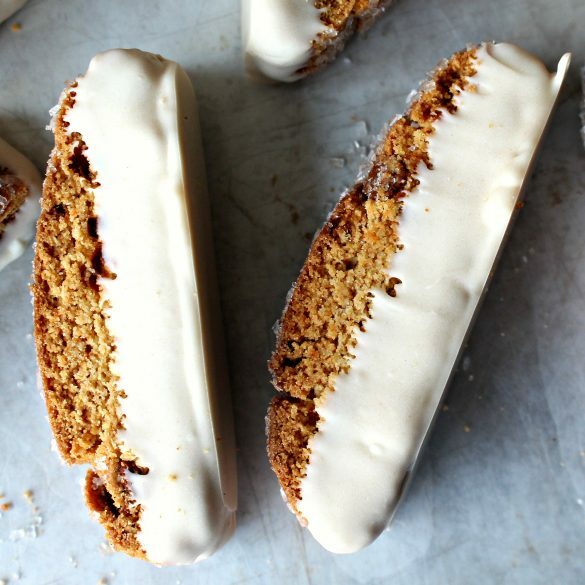 These are the perfect biscotti for cinnamon lovers! What a perfect recipe to share at this week’s FF! These look incredibly good! Thanks for sharing and have a blessed 2017! Thanks, Jhuls! Wishing you a peace filled New Year! They look amazing! Thank you for bringing it along to Fiesta Friday! 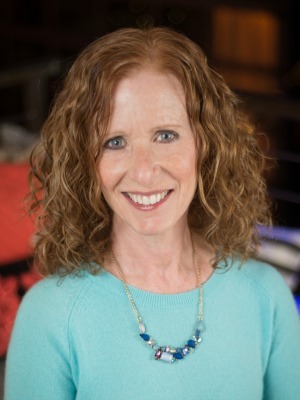 Thanks, Ginger! 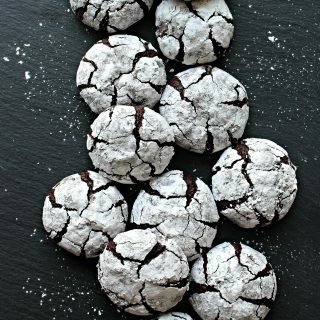 These are addictive biscotti! Happy New Year! 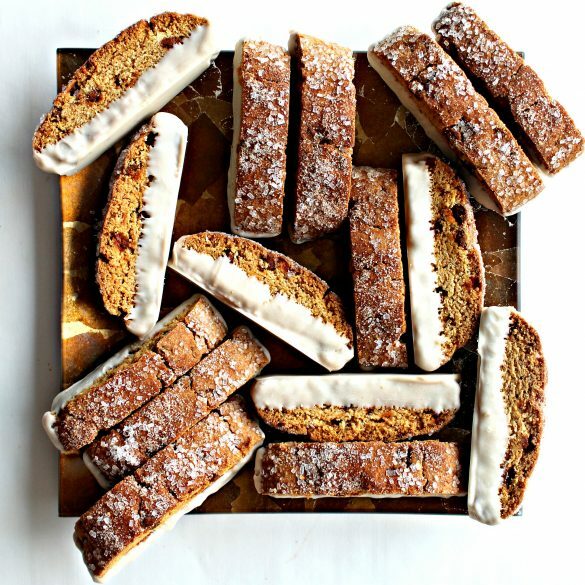 This Biscotti would be great with my afternoon tea! Thanks so much for sharing your awesome post with us at Full Plate Thursday and best wishes for 2017!